Help keep our amazing trails safe and sustainable for all! 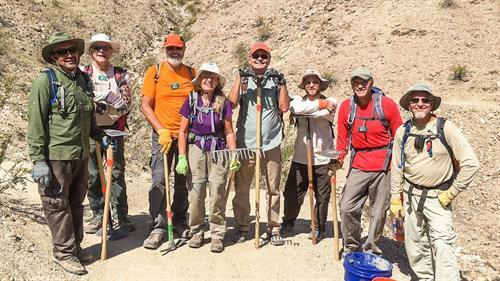 Volunteer with the Friends of the Desert Mountains installing signs, repairing damage, and building new trails throughout the Coachella Valley! You must be a current volunteer to participate: Click here to get started. Call 760-568-9918 for more information and RSVP. Various locations throughout the Coachella Valley.